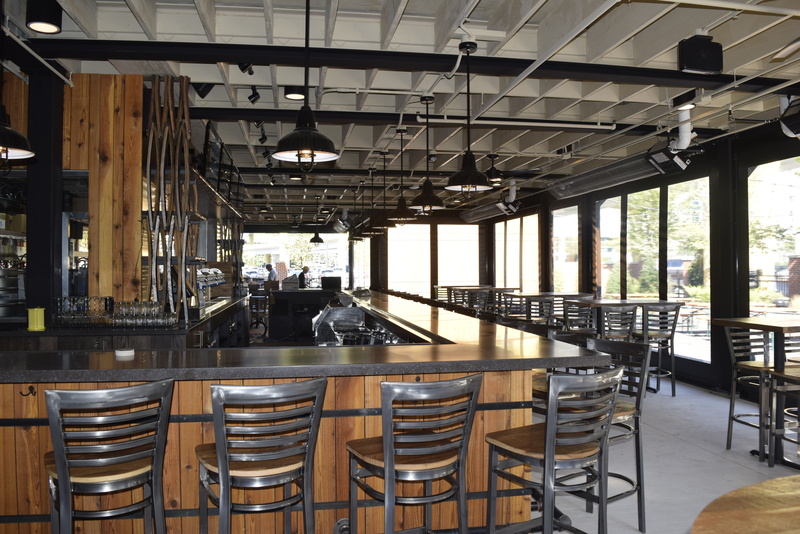 Southern Tier Brewing Company, a successful microbrewery in Lakewood, New York, was looking to expand its business by creating a new brewpub in Pittsburgh’s North Shore and selected Landau Building Company as construction manager. 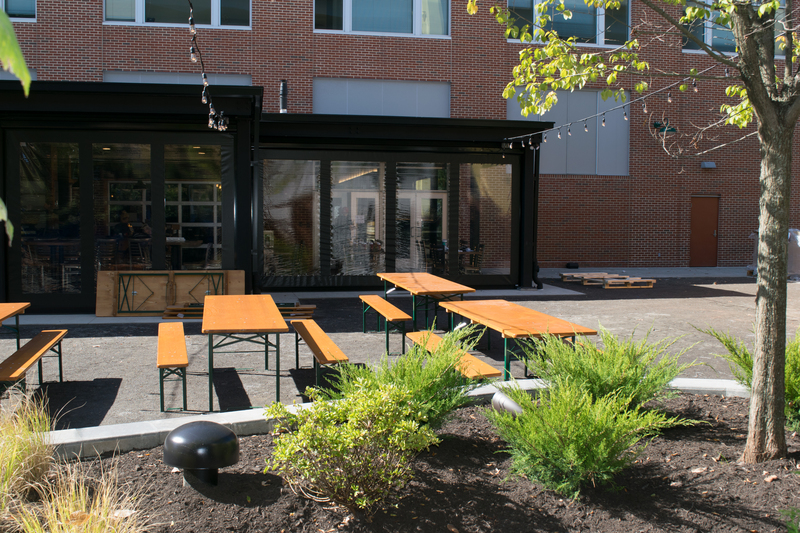 The satellite brewpub includes a full restaurant menu, thirty beers on tap, onsite brewing, and a small gift shop area by the front entrance. The first phase of construction was 6,300 SF of interior fit-out delivered using a guaranteed maximum price (GMP) contract. It included the new restaurant and bar, brewing areas, MEP systems, and offices. Landau’s craftsmanship brought the architect’s vision together during the first phase using whiskey barrels and rustic elements as a design theme throughout the space. The light fixtures over the booths are barrels flipped upside down, and the fixtures over the tables are barrels that were cut in half and splayed open for the unique design. Wood slats from whiskey barrels were also installed along the kitchen walls in a basket-weave pattern. 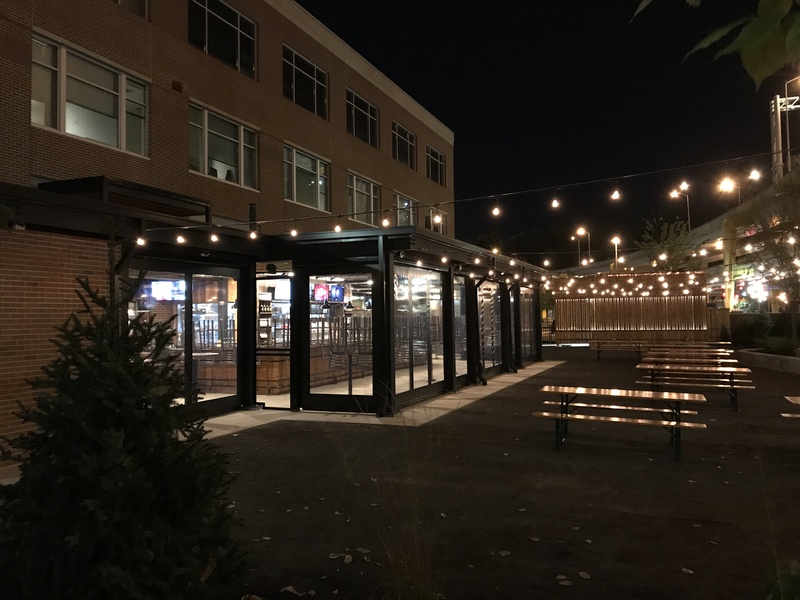 The second phase of construction converted 8,500 SF of exterior space into an outdoor beer garden. 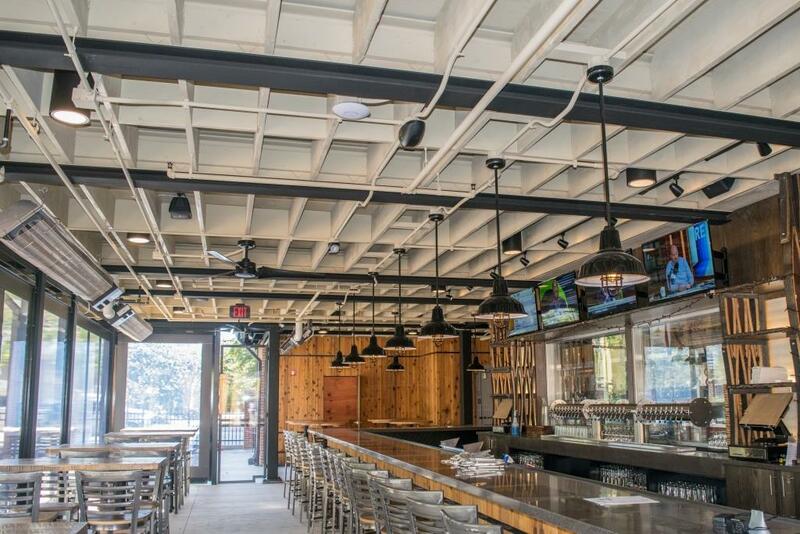 A new 2,475 SF bar, keg cooler, and seating area was created. The bar area is enclosed with retractable plastic walls and seating designed to match the tables inside the restaurant space. Addition bench-style seating is available outside this area, with speakers nestled in the landscaping and festoon lights hanging above the benches.